Home Tech	Promising Billions to Amazon: Is It a Good Deal for Cities? “The stakes are getting higher and the deals are getting worse for the taxpayer,” said Amy Liu, director of the Metropolitan Policy Program at the Brookings Institution and a longtime critic of tax incentives. 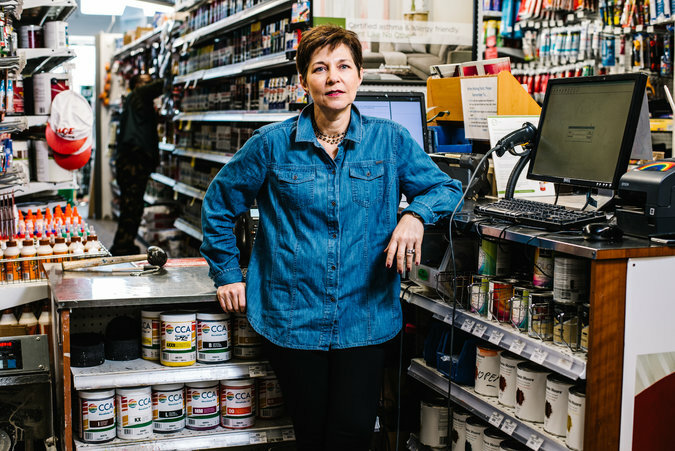 Gina Schaefer, who owns a dozen hardware stores in the Washington area, said it was frustrating to watch local governments roll out the red carpet for Amazon. “It really seemed like the incentive competition had kind of stabilized,” Mr. Bartik said. State and local tax incentives grew rapidly in the 1990s but have since stabilized at about 30 percent of total corporate taxes. An earlier version of this article misstated the given name of Pennsylvania’s secretary of community and economic development. He is Dennis M. Davin, not David.